Check out our top 10 best-selling resources, all covering a range of pressing issues and topics focused on helping all learners succeed. English Language Learners and the New Standards: Developing Language, Content Knowledge, and Analytical Practices in the Classroom tops the list. You’ll also find resources on teacher collaboration, literacy, STEM, education leadership, data literacy, and more. 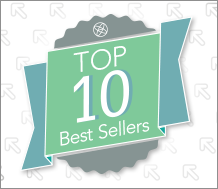 Visit WestEd’s Best Sellers page today!